Chocolate and Banana Theme Week was fun this past week. Now it's time to move into the flavors of autumn. Today's Sage Honey and Field Songs truffles were part of a 9-piece "Harvest Moon" truffle collection from Vosges. 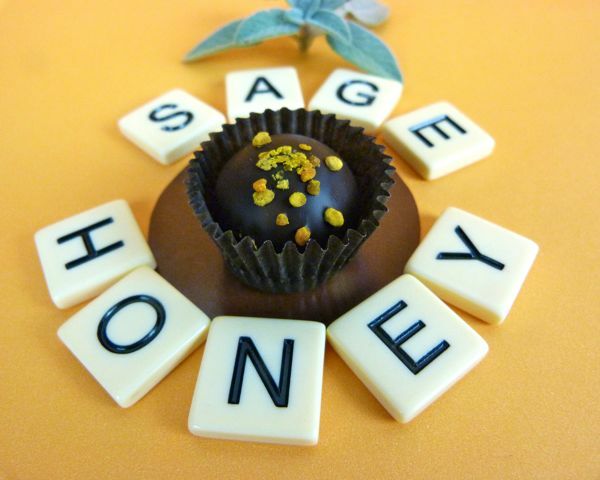 The 65% dark chocolate Sage Honey truffle was made with sage honey, and was decorated with a sprinkle of bee pollen. The sage honey notes were fairly muted in this mix. The yellow-dusted grains of bee pollen added some nice texture and faint, pleasant beehive flavor notes. 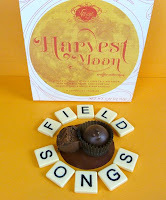 The second truffle, Field Songs, contained roasted yam puree and maple syrup in a 45% cacao deep milk chocolate base. 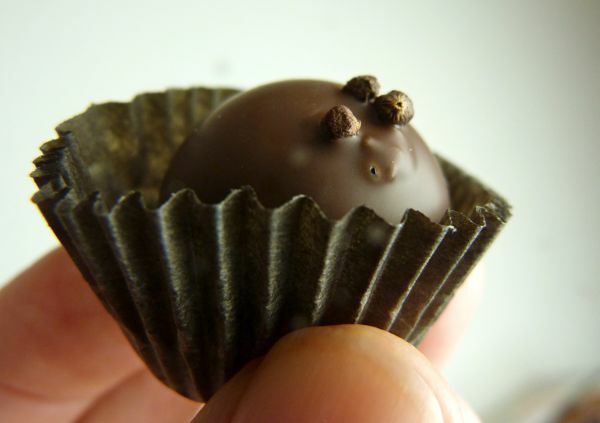 And, these truffles were topped with -- my favorite part of the tasting experience: African grains of paradise (Afromomum melegueta); these grains lit up my palette with floral, pepper and jungle flavor notes. 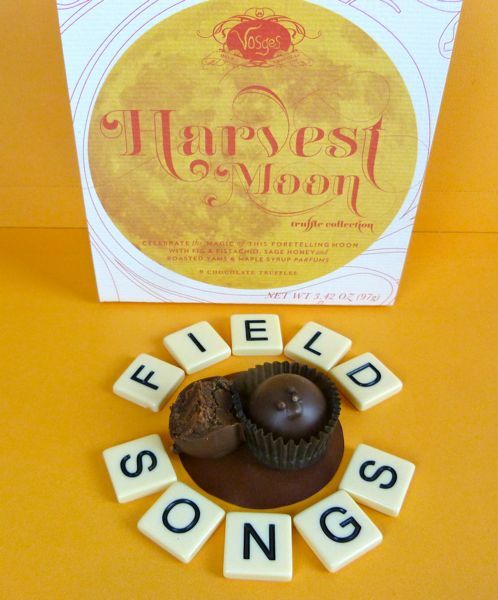 Note: The third flavor in this Harvest Moon truffle collection was a Fig (with Armagnac) truffle, which was featured on this blog a few weeks ago, as part of Chocolate and Fig Theme Week.